After many months of polishing and preparation, the very first adventure for the Mischieviots gang (“The Gathering“) is finally ready! 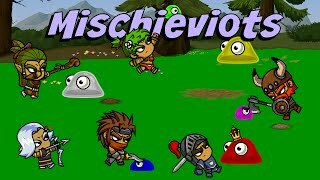 Mischieviots is entirely free for everyone, so download today and let us know what you think. This is not the end though, there are plans for many more chapters in the very near future so please come back often and check up on the progress. Our game has a name!